If it was socially acceptable, I’d wear glitter all day, every day. I love the stuff. I love how it twinkles and glints in the light. I love it in lipgloss, in shadows and in powders, and it’s a continual struggle not to ask for glittery nails every time I’m in the salon. 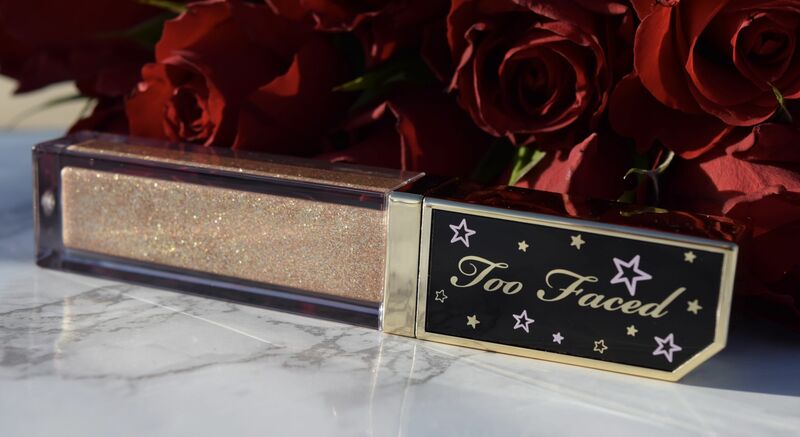 So, when Too Faced’s Tutti Fruity range landed on my desk, and a whole lot of it was pure sparkle, you can imagine how excited I was! 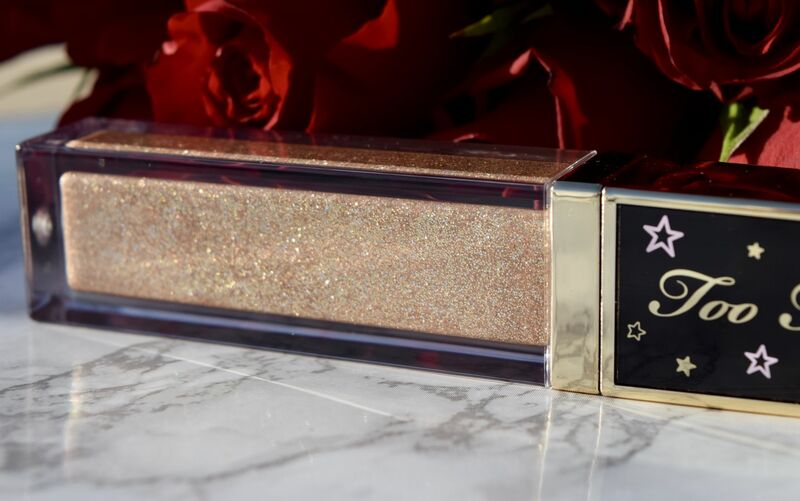 I’m not sure I’d agree with the full coverage claims – it’s definitely bold and very sparkly, but the glitter is held in a sheer liquid, so it feels more like a glaze than a full-on shadow. It’s a gorgeous effect though – I love it over a taupe powder shadow which gives it a bit of depth. If you’re looking for a product which will take your look from day to night – this is the one for you! I take the doe foot applicator, and wipe it onto a finger, then pat it onto the lid. 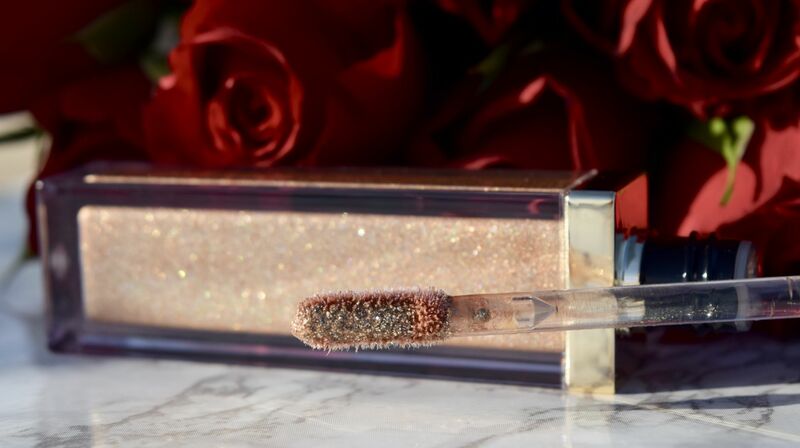 The effect is a bold one – it’s seriously glitzy, and it feels perfect for my up-coming festive events!